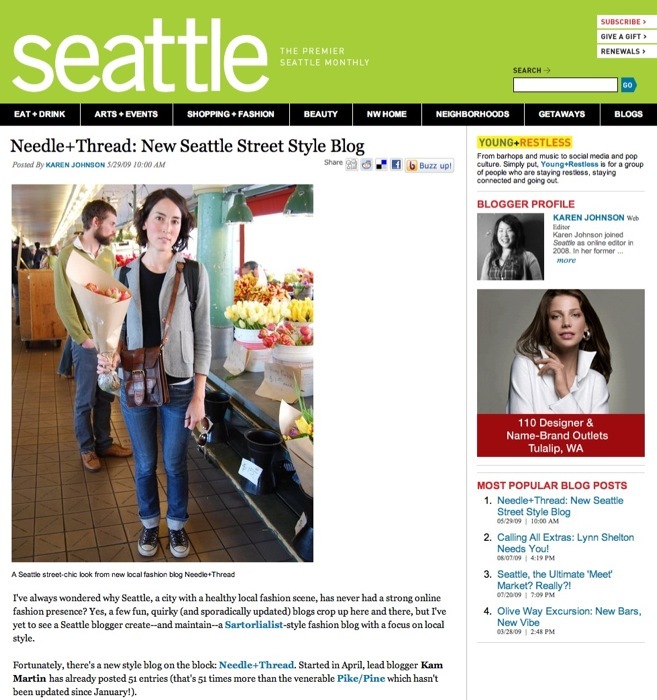 karen was sweet enough to spread the news with her readers about the street style featured on needle+thread. thanks for the link and the sweet words. we’ll keep at it! find karen’s seattle blog young+restless here. a photo that was meant to be posted last week… her layers and casual femininity were lovely. 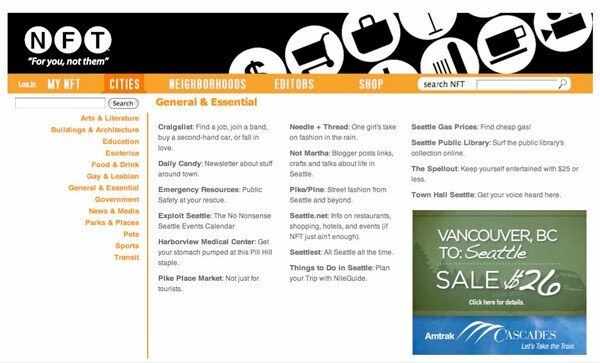 it’s been fun getting this blog going… since i’ve wanted to do something in this vein for years, i’m also very excited by recent activity (click here for online mention in seattle magazine !) and also a reader contributed spin off blog for the P-I (still trying to nail down some content). check back- i’ll be back after the weekend with more sitings and style. enjoy this gorgeous weekend ! not for tourists links us ! i don’t know why i find this so exciting… but i do ! 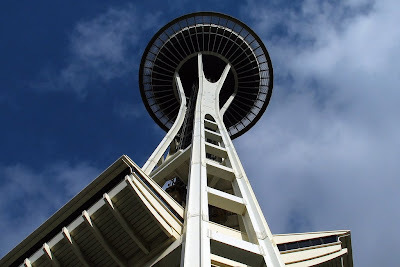 you can find us linked on the seattle not for tourists… right here! sometimes it’s just nice to wander the market and see all there is to see… the vendors shout out to you, smile… this lovely lady (wish i could remember her name !) was wearing a beautiful necklace that a customer had made for her… and i loved that she had a flower in her hair.